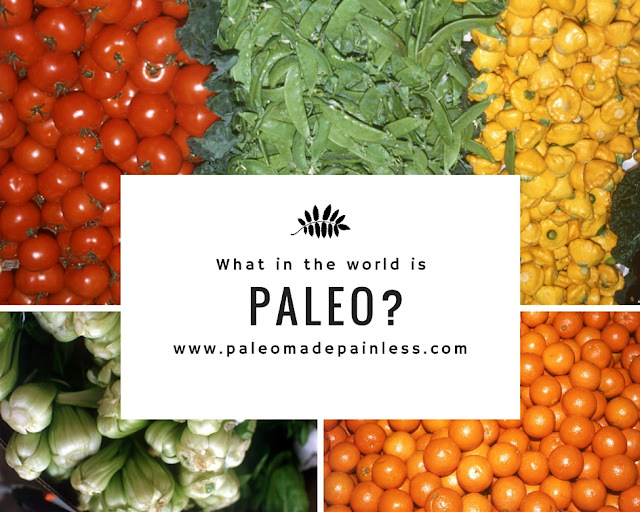 Paleo made Painless: What in the world is Paleo?? 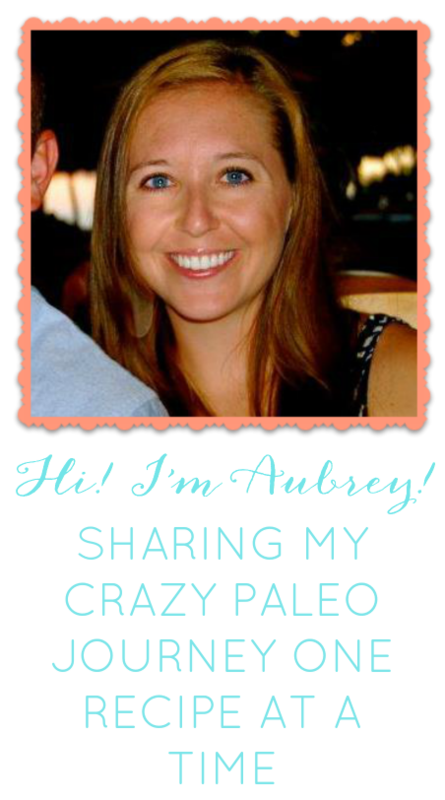 What in the world is Paleo?? You may be thinking: "What is this "Paleo" diet anyways? Just another crazy diet where I am starving all the time? Counting my calories? Eating food that tastes like cardboard? Just another fad diet?" The answers to all of those questions are, "Noway!" I like to think of Paleo as a lifestyle rather than a diet- I know it sounds corny. But trust me if you give Paleo a 30 day try then you will think of it is this way too. Let me preface this explanation by this: I am not a doctor. I am not a nutritionist. I am not an expert. But I have done a lot of research and been Paleo for almost a year. Let's go back in time. More specifically, before the agricultural revolution. We were hunters and gatherers. We lived a life where our existence revolved around food. Think about it. There were no cell phones, no jobs, no TV- there also weren't a lot of things that are nice like mattresses and refrigerators. But imagine your life REVOLVING around food. Our bodies were made to run off these foods that we needed to survive. I am sure almost all of their energy was put into finding, hunting, gathering and eating. Food was of upmost importance. The people back then were tall, lean, muscular and without most (if not all) of the host of diseases we have today. The way we view food has changed dramatically. Food isn't seen as a source of life. It isn't seen as a necessity for our bodies. It isn't seen as something that fuels us to be our best. It is seen as an afterthought. I know this is true because that is what it used to be for me. I would only think about food when I was hungry. And when I was hungry I would think, "Hmm..what should I have for dinner? Should I nuke a lean cuisine? Should I run through McDonalds? Ohhh or do I want Panera...and if I get a salad I can also get a bear claw..." Food wasn't something that made me who I am. It was something that if I ate less of and ran more I might be able to drop a few pounds. It was something that tasted good and that I would treat myself with when I thought I "deserved" a dessert after a long day. It was something that was an accessory to my life. I did not view it as it should be: Food should not be an accessory to your life, it should shape your life. That may sound extreme. But food really does shape our lives- it is necessary to our survival, and right now our society is doing an awful job of surviving. We are all getting fatter. We are all getting sicker. We are more depressed, anxious, stressed and unhealthy. Why? I think the MAIN reason is our diet. The crap we are putting in our mouths is making us crappier as a whole. Our focus isn't on our survival. Our focus is on whatever it is that is happening that day. Our focus isn't on fueling our bodies so they can perform at an optimal level- our focus is on who got cut from American Idol that night. Our focus isn't on maintaining our bodies or what we can eat to make it through this week- our focus is on playing Words with Friends on our i phones and getting that promotion. 5. Bad, chemically ridden food will most likely cause you to have a host of health issues ranging from bloating and gas to cancer to death. So. Now that I have preached about modern society let's talk about Paleo. Paleo is a healthy way of eating and living. It is eating the things our bodies were meant to eat. It is fueling our bodies with the purest forms of food. No more processed crap. No more fast food. No more microwave dinners. For me- Paleo has changed the way I see food. It isn't something that I just have and eat when I need it. It is something I put a lot of thought and energy into. It is one of the reasons I am alive. It is something that can me a better athlete and a better person. Paleo has put me back in tune with my body. I never knew what healthy truly felt like until I ate Paleo. I know it sounds crazy that something that seems so insignificant can change someone's life- but that is the point I am trying to make. The way we eat isn't insignificant. It can change all assets of your life if you view it and respect it in the way humans used to. I hope this all makes sense and doesn't come off as a rant! But truly sit down and think about what you eat. You will be shocked at what will you will discover.